I received notification of a post from Writer Unboxed (Full article here – http://writerunboxed.com/2014/04/25/how-you-fail-determines-how-you-succeed/) talking about how you deal with failure and whether that may mean you later go on to succeed and it inspired this blog post on Prism which I thought I would pick up and dust off for here. My most saleable books are the contemporary books that I write. 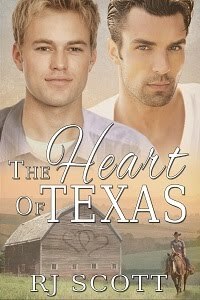 Things like my Texas series, and the Sanctuary series, Ellery Mountain, that kind of thing. My first ever book was a paranormal, Oracle, powers, and ancient energy, and gods, and of course the Oracle itself. I am still so damn proud of that book, and of other paranormal books I have written, like Gallows Tree (ghost story alongside the story of a guy running from abuse) and the Fire trilogy (Kian etc.). I could turn around and say I ‘failed’ at writing paranormal, because the sales for these will never match the aforementioned contemporary titles. I don’t look at it as failure. I think, with the tenaciousness of a writer who has a story to tell, whether it sells or not, I wrote a sequel to Oracle, and two sequels to Kian. As a writer, do sales figures affect what you write next? Or will you push ahead with a sequel just because your muse demands it? Readers, are there particular writers you autobuy for their contemporary work but not their paranormal or indeed the other way around? I would have to say that I lean towards paranormal but I buy what interests me at the time as I am also a mood reader. I don't have auto buy.but there are few authors whose work I love so much that I purchase every book they write as soon as I find it. the topic or genre is not as important to me as the way the author tell their stories. I have a few authors that are ALMOST autobuys, but even those authors usually have a few books that I opted not to buy. I usually steer clear of the super short books, even if it's one of my favorite authors. I like contemporary and paranormal so I'll usually buy both. I read some where that the best way to promote your book is to write another book, and I can see that working for me at the moment. I started posting a shifter fic that had very little interest in the beginning, but the more parts I make available, the more people seem to be reading it. So I don't think I'd be too discouraged. Sometimes it can take a while for people to find, and rec a story...at least that's what I keep telling myself. I would like to think that the same would apply to published works, but then I always worry about how much publishers influence that. If you write the first part of a trilogy and it doesn't do too well, will they discourage you from writing the rest?